I adore this immense book, although I would advise readers to get their arm and back muscles into good condition before picking it up. 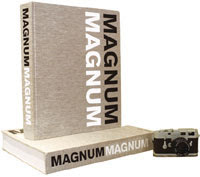 (At six kilos, it's not so much a coffee-table book as a coffee-table...) Magnum is the world's most celebrated photo-agency, founded 60 years ago by Robert Capa and Henri Cartier-Bresson, among others. To mark the anniversary, 69 of its current members have chosen and commented on the works of their peers and predecessors. Eve Arnold has picked her favourite Cartier-Bressons, Elliot Erwitt his favourite Eve Arnolds. This could be one gigantic back-scratching daisy-chain, but the work is so extraordinary, and the judgements so interesting that the book becomes a masterclass in curating as well as one in photography. At £95, it's not cheap, but there's a marvel on every page. If you like this sort of thing - "My darling Acky-Poo...Love and red hot kisses from top to derriere. Noelie-Poelie" - then this is the sort of thing you will like. Personally, I think Coward's correspondence is best treated like a box of turkish delight: don't devour, but dip, preferably while reclining on a chaise-longue. 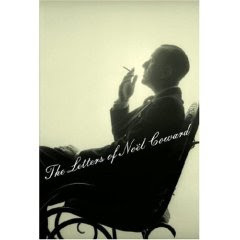 Many of the letters here - to and from Gertrude Lawrence, Dietrich, the Queen Mother, Virginia Woolf, George Bernard Shaw - have never been published before and there are some gems: I loved the correspondence between Coward and Arnold Wesker, plus his dialogues with Harold Pinter and John Osborne. He may have been rude in print about the 'modern drama', but he charmed the modern dramatists - and turns out to be a fervent and observant Pinter fan. "You cheerfully break every rule of the theatre that I was brought up to believe in," he writes to dear Harold, "except the cardinal one of never boring for a split-second." This is a book I will be giving to at least two people for Christmas. Richard Mabey is a celebrated naturalist, with impressive reference books to his name. Here he writes in a low-key personal tone about man's arrogance towards the natural world, by focusing on forestry, or more particularly, on beeches he has known and observed closely. We project our own fantasies onto trees and then wonder why they don't live up to them or respond in the way we feel they should. That's just the way we are...and the way trees are. This is a perfect autumn book - thoughtful and engaging - marred only by a lack of pictures. Gardam's short stories are bright, odd, idiosyncratic and occasionally grotesque. A much-garlanded novelist, she has been compared - mostly recently in the TLS this week - to Katherine Mansfield. But I think at times she has a touch of Saki about her. Her milieu is upper-middle-class contemporary Britain and she is perfectly merciless in skewering cruelty, selfishness, heartlessness. I have not read all of this, but what I've read intrigues and delights. Just when you thought there was nothing more to be said about the bard, Charles Nicholl - author of excellent books on Marlow and da Vinci - proves the world wrong with this dissection of a court-case featuring Shakespeare's testimony. Thanks, will check some of these out. Best reads 2007 - Christchurch City Libraries.